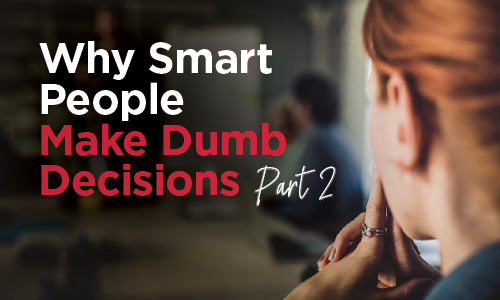 Last week, I shared six of twelve reasons why smart people make dumb decisions. I promised to share the other six this week, so here they are. Pressure is a sales tactic. Sales people try to create reasons why we should act swiftly. It’s their job to close sales. So prepare yourself with a reason why you can’t decide at the moment. State in advance that you won’t make a decision now. If you change your mind, fine… but it will be a better decision if it’s not a hurried decision. TAKEAWAY: Make decisions through calm analysis not pressured paralysis. Know whether time is working for or against you. Moving slowly often favors buyers because things typically decline in price and improve in quality. Moving quickly often favors sellers because time on the market diminishes the price of everything from cars to homes. So make time a factor when making decisions. TAKEAWAY: Before you decide consider time. Big decisions are really little decisions as long as you can change the decision. Because circumstances often change, what looks like a good decision today might turn into a horrible decision tomorrow. That’s why it’s important to carve escapes into commitments. The bigger the obligation the more important it is to have a walkaway. TAKEAWAY: Escapes let us sleep at night. The importance of a decision should dictate the number of questions. It doesn’t make sense to ask a plethora of questions when making trivial decisions. But when decisions matter, it’s better to ask too many questions than fail to ask the one question that would have avoided a costly mistake. TAKEAWAY: Serious decisions demand copious questions. Don’t let what you hope influence what you perceive. It’s happened to me. It’s happened to you. It’s physiologically true. We all see the world through a filter of what we hope it to be. This is true with both things and people. I learned long ago that when people show you who they are, believe them. TAKEAWAY: Evaluate decisions (and people) like accountants evaluate numbers; it is what it is. If it doesn’t look good it likely won’t get better. Decisions are like dates. The cute guy with the winning smile may turn out to be a boastful bore when you meet for coffee. It’s usually best to unwind dates (and decisions) quickly if you’re pretty sure you made a mistake. Constantly evaluate the changing landscape of life and business, then alter your course accordingly (and quickly). TAKEAWAY: Don’t let optimism mask realism. 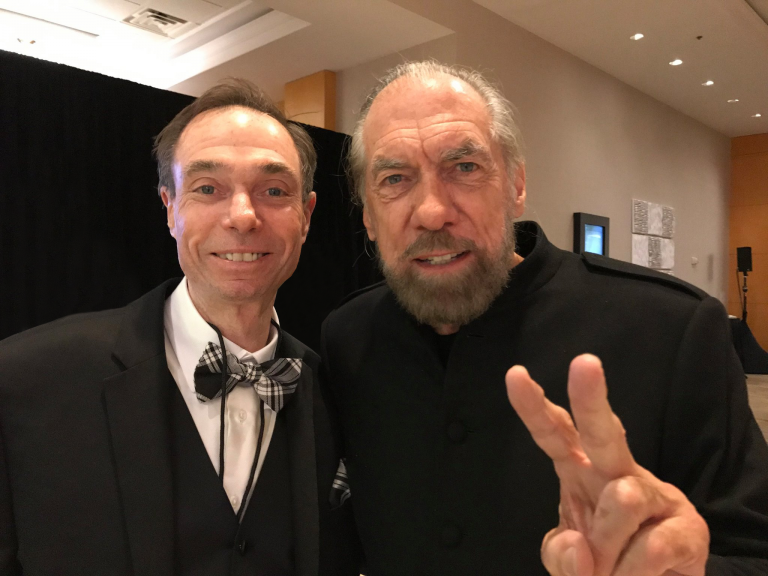 If you missed part one of this article, read it here. 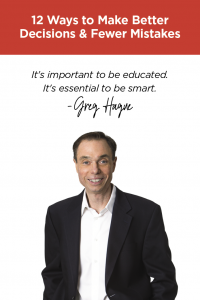 If you’d like all 12 rules in one document, click here to download a free copy of the 12 Ways to Make Better Decisions and Fewer Mistakes.